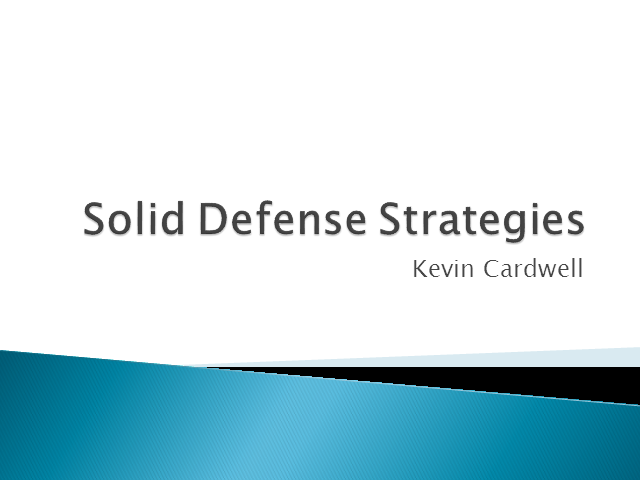 In this presentation, Kevin Cardwell will discuss the importance of developing robust ingress and egress filtering to mitigate the threat of sophisticated malware. Kevin will discuss the steps you need to take to defend from the majority of the known attacks and show the need and importance for analyzing your system's live memory. The presentation will conclude with the importance of adding hardware based protection to your defenses.